Flash has had several versions out there in the comic-book/TV/Movie universe. He can be a bit of a madcap: a happy, lighthearted, joke-telling, flirtatious sort of fellow. He's always got a good heart, and a lot of love and loyalty. One of my favorite incarnations has been Kid Flash from Young Justice, AKA Wally West. On Young Justice, Wally is making his first foray out there into hero-dom on his own, having been a sidekick for a while. Despite his joking nature, he wanted to be taken seriously for what he could do. What I love about Wally is that humor. 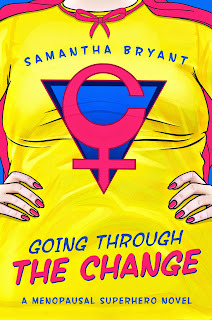 A lot of superhero stories are dark, about tortured souls and ugly temptations. You see a lot of the theme that power corrupts, or that massive self control and denial is the only way to deal with superpowers. But Wally is full of joy and fun. He delights in his own skill and in making a difference in the world. And, while he loves to flirt, I don't know what he would do if anyone took him up on it, besides stammer and blush. He's adorable. 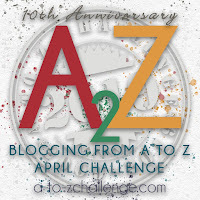 This post is part of the A to Z Blogging Challenge. I'll be writing about superheroes I love all month. 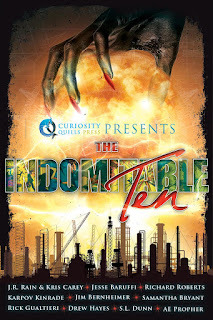 You can check out other bloggers and see their creative takes on the challenge here. 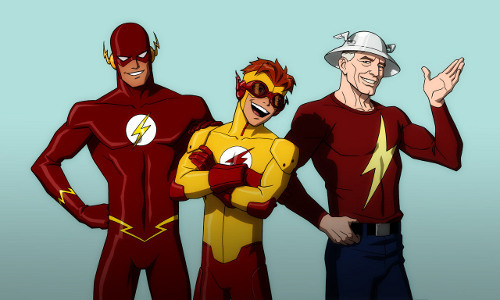 I'm unfamiliar with Kid Flash, but I do know that on the TV series starring Grant Gustin, there is a Wally West character. Perhaps there will be a Kid Flash sighting in the near future? Oooh! I hope so! I've watched most of Season One of that show and plan to go back for more. This is an education! I'd only ever heard of Flash before. There is also a Kid Flash on an episode of Teen Titans that's a really good episode. I like that show, but don't think I've seen that one. Will have to look! We used to call our daughter Kid Flash because she's so fast. He sounds adorable. I hope he makes an appearance in the new Flash with Grant Gustin :-) Good luck with the rest of the AtoZchallenge. Wally is a great character. His ...run...as The Flash in the Justice League and Justice League Animated series was great. I am also enjoying the new Wally on the The Flash TV series on the CW. Though I think the kid needs to loosen up a bit. Be a little more like the Wally in the comics. 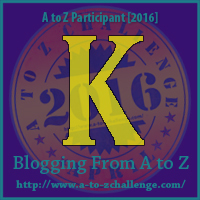 2015 A to Z of Adventure! V is for . . . Velma!